A tax reform proposed by the Trump administration could free up to $10 billion annually for the U.S. oil industry and maybe encourage more investments in additional production. Leaving aside the chances of this reform turning into actual legislation in its current version, these savings may not be good news for the industry. The proposal sees a cut in top-tier corporate tax from the current 35 percent to between 15 and 20 percent. Since oil and gas are among the most heavily taxed industries in the U.S, Bloomberg notes, the annual savings could exceed $10 billion. There is a catch, however: to benefit from these cuts, E&Ps will have to surrender some existing tax incentives, a Bloomberg Intelligence analyst, Vincent Piazza, notes. Even if they do, it remains uncertain if the savings will be put to work building production and if they are, this may actually spell doom for oil prices. Active drilling rigs in the shale patch are now double their number from last May, at 617, when they hit rock bottom thanks to the oil price rout. Crude oil output has reached 9.08 million barrels daily and is expected to continue to rise, with the April daily average estimated by the EIA to be 109,000 barrels higher than the March figure. 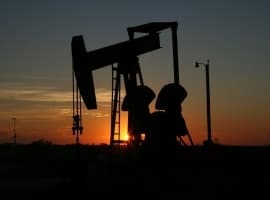 Now, the U.S. shale output rise is already widely seen as the ultimate headwind for international prices, although other producers such as Nigeria and Russia have also been open about plans to increase their production, OPEC cut or no OPEC cut. Even the cartel’s leader, Saudi Arabia, eased up its efforts to bring global supplies down by raising its February production to 10.01 million barrels, sending WTI below $50 a barrel. U.S. oil producers are tirelessly repeating that efficiency gains have brought their production costs down substantially, allowing them to stay in the black even if oil prices drop. In this context, a tax cut will certainly encourage higher spending on production expansion. Let’s not forget that it’s not just a battle with OPEC – a lot of energy companies still have uncomfortably large debts to deal with. Yet, as Continent Resources, Harold Hamm, warned at this year’s CERAWeek, the uncontrollable oil production build cut run prices into the ground, where no amount of efficiency gains would matter. It would be wise to heed his warning in view of sustainable price improvement. If U.S. E&Ps can strike a balance between tax cuts – should they materialize – and a measured approach to production increases, then the proposed reform will come in handy. Striking this balance, however, will be a challenge. Tax BREAKS,,,,? HOW BOUT CALLING IT WHAT IT IS; Corporate WELFARE! I FIND this amusing,, hahaha, when GM and Chrysler were HELPED,, instead of failing,, everyone BLAMED OBAMA, We the TAXPAYING WORK to the bone CLASS PAID for it,, SAME Story,, different Prez and different name Tax Break! I'd like to think that Americans can be realistic about what it costs to produce energy. We all know the renewable energy industry supposedly remains dependent on subsidies. What about fossil fuel production? 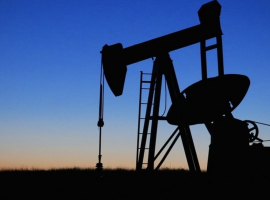 As the article suggests, will tax relief for petroleum production even help? The half-life of petroleum wells is declining, laterals are getting longer, it's harder and harder to get clean water, secure suitable sand propants, and find places to flare and and dispose of contaminated water. We should be obsessing over production cost like we do crude prices. Is fossil fuel getting harder and harder, while alternatives to burning petroleum are getting easier and more cost competitive? The tax cuts will effectively lower the cost of US production, making them that much more competitive, and profitable at even lower prices.